Here is the village fair essay / composition for class one to twelve. This village fair essay contains context with bullet points. Clue: Introduction, Occasion and place, Things available for sale, Special attraction, Demerits, Benefits of a village fair and conclusion. A village fair is a fair which held between the common place of several villages. The villagers take part in the fair with their goods. People from outside villages also come to visit the fair and also sell good what they carry with them. A village fair is a great occasion to all the villagers to enjoy those days. Most of the time the village fair last 2-4 days long. Single day fair also held somewhere. 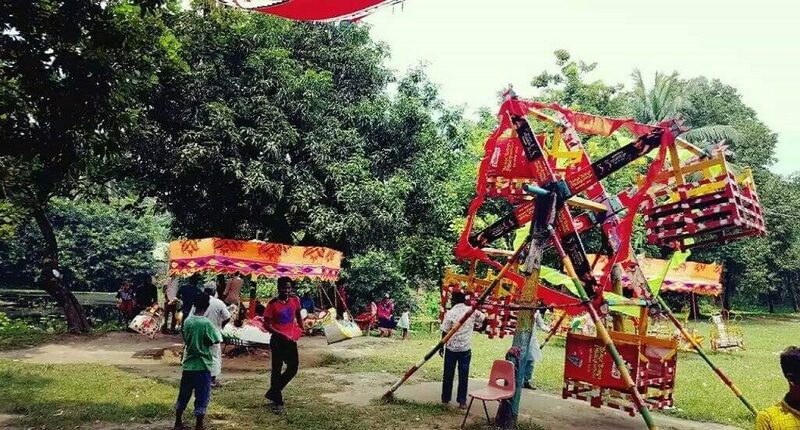 A village fair is a remarkable annual affair in rural Bangladesh. It is generally held on the occasion of some religious festivals or some local important events. It is an occasion for show, sale of various goods and entertainments. A village fair generally sits on the bank of a river or a big canal or tank. Sometimes it also sits in an open field under a big ancient tree or in the market place or in the yard of a temple or by the side of a big road. All section of people gathers at a village fair. There are the young and the old, children as well as women. Almost all the villagers of the neighborhood rush to the village fair. A large crowd is therefore, formed and the noise is deafening. A fair is a kind of exhibition of hand made things. The rural artisans and craftsmen make various useful articles which are brought to the fair and offered for sale. It thus acts like a market for cottage industries. Small traders come from far and near to sell their commodities. They bring different kinds of clothes, fancy goods, dolls, utensils and other useful things to be used for domestic purpose. These goods always have the greatest demand in a fair. There are various forms of amusements in a village fair. 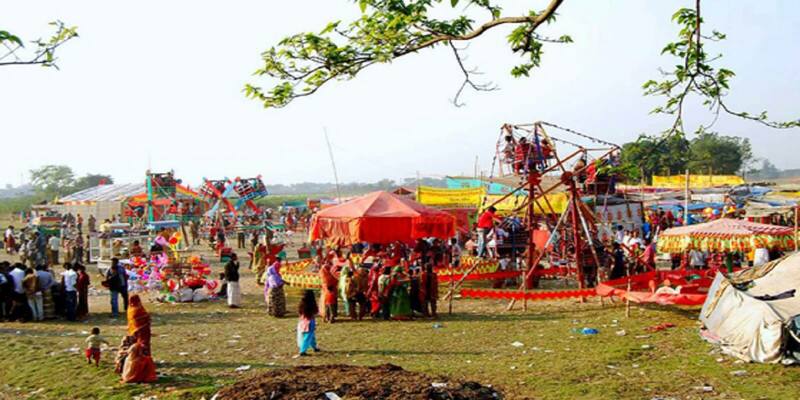 Jattra parties, circus parties, nagor dolas are traditional attractions of a fair. Sometimes a magic lantern show is arranged. But usually, the largest gathering is seen around the place where jugglers show their feats. They can show some wonderful feats which are really enjoyable. A village fair has some drawbacks notwithstanding its having some attractive sides. There is no good sanitation system which cause outbreak of epidemics. Some children are found missing from the fair and this causes a great anxiety for the parents. Gambling parties come here and entice innocent people to take part to be exploited. This affects the morality of the common village fold and cause financial loss to them. A group of miscreants and dishonest people flock to the fair and commit various mischievous deeds and crimes. Sometimes heavy fight takes place among different groups and some people suffer great injuries. Though there are some demerits but yet a village fair is very useful and important. It plays a vital role to remove fatigue and monotony of daily life and bring immense joy to the villagers. It helps a poor villager to forget his sorrows and sufferings for the time being and fills his mind with pleasure. People find chances to meet their relatives and other people here and can exchange greetings. So a fair is a mixed blessing to the villagers. At last we can say that a village fair is a place where we all gather from all community of people. Here no bounds among the people. People all gather and enjoy the fair together. It is a very enjoyable place to them. But we all should be careful about the bad things about the village fair and should avoid those things. Hope this village fair essay / composition will be helpful for your study. If it does or have any suggestion just leave a comment. We will improve it.